Under another topic I asked about a portable slab roller well I ended up going with a table version instead. It arrived a few days ago in five boxes and I got it assembled and used it for the first time today. I got the Clay King Slabmaster slab roller near as I can tell its a generic version of a Shimpo, I'm sure the pros can detail the difference but it doesn't really matter to me since I couldn't afford a Shimpo and I could afford the Slabmaster. It seems really nice and heavy duty, looks like something built in the 1950s all steel gears and no nonsense usability. My husband is coveting my wheel and has threatened to steal it he thinks its so cool. The only thing I changed was the thickness scale since it came in metric and even though I had it in school it never stuck. 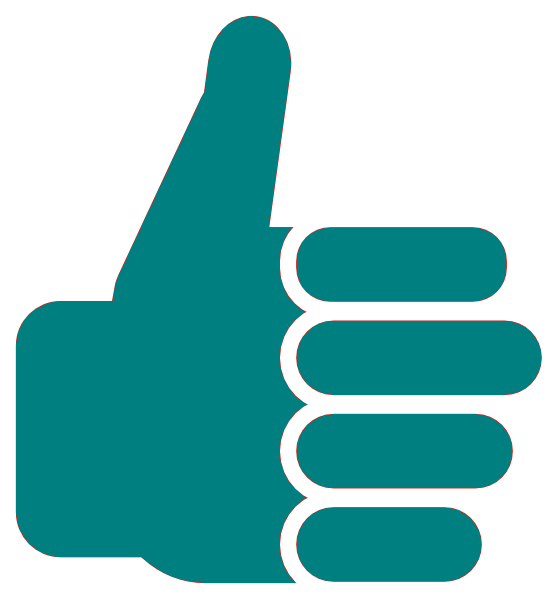 So I peeled off the scale scanned it into Photoshop and converted it into inches printed it out reattached it rolled some clay checked the thickness with a ruler did some fine tuning reprinted and permanently attached it to the machine. I didn't want to spend the next decade converting the gauge into inches every time I used it and it was an easy fix. I got a set of heavy canvas with it and also got a second set when I ordered the roller so I now have 2 sets of canvas for rolling. I only need 1 now but since I eventually plan to branch out of white clay into red as well I am already set up for it. I plan to take Oldlady's advice and build a rolling platform to fit underneath to store my clay on. I also plan to add a shelf or two to handle the extra canvas and some tools. As promised I have attached a couple photos of it in my studio. It fits really well right inside the door without blocking the walkway and its right next to my work table as you can see in the second picture. Those are great slab rollers, especially for the price. Lots of companies sell versions of them- Axner, Euclids, Ceramic Supply, etc. They're all made in China, but they work really well. Have fun! HOORAY! looks great! i am sure you need lots more clay by now to roll more slabs. your studio is certainly neat. and i see a strange looking animal.................oh, it is a PUG! what a surprise. That is a nice roller, and a nice, extremely clean, studio. I can hear that pug breathing, just by looking at it. I was rolling out slabs today starting with 6lbs. wedging the clay fresh from the bag, rolling the slabs out. Project did not work the first time so I ended up rolling out about 9 for 4 side walls on a new form. Looking at your roller and your studio. . . I'm jealous! Have fun! Thank you everyone! I am really looking forward to using the roller a lot I only hand build no wheel work for me yet. Its so much easier to roll out with the slab roller than by hand. When hand rolling I felt like the clay was fighting me and I would have to beat it into submission. I used a slab roller in class and what would take me an hour at home by hand to get right in class I would have it ready to go in under 5 minutes allowing me to focus on creating stuff with it rather than just getting an even piece of clay. I know more practice and I would be able to do the same thing with a hand roller but had the chance to get a roller and couldn't pass it up. Hmmm the studio doesn't look that clean to me I see all the stuff stacked around on top of stuff and tools hitter kilter. But my little test tool boxes are coming in handy to get those tools under control you can see where i have them lined up along the edge holding some of my tools. With my new roller I ought to be able to make a bunch more quickly to finish up testing the techniques I am learning and then help keep my work table clutter free after that. Pottery has a lot more tools than painting let me tell ya my drawing table and easel have 2 containers on them and that gives me everything I need to create. Its probably a bit cleaner than some pottery studios because i don't use a wheel and that seems to be very messy. I also have to keep things super neat so I can do more than one art form in the same room as well as having my dogs in there with me when I work. I clean the floors daily so they don't get into anything that might hurt them. At the end of a session there should be nothing on or near the floor for them to stick in their mouths or on each each other. I learned that lesson the hard way a few years back when I left a palette sitting on a low table next to my easel and one of the Pugs decided to paint her sister poor thing had to wear most of it off since acrylics are impossible to get off without heavy duty chemicals which I couldn't use on her. After that I got a palette that sealed shut and everything went up higher and just started keeping it neater so they could be with me and be safe too. I've put off putting up shelves on the walls trying to decide if a rolling shelf unit might be better or not. The wall where the roller is was supposed to be my gallery wall hence the stack of finished pieces you can see in the photo but not sure that's going to happen now. I built the 2 narrow shelf units at the ends of the work table to hold underglaze in one and glazes in the other they're not pretty but do the job. 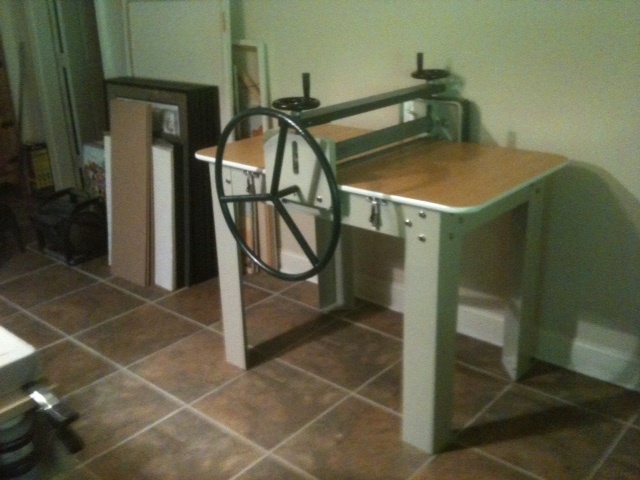 I still have to add a couple shelves on one side of the worktable as well as under the roller. You couldn't see them in the photo but there's an easel, drafting table, drying cabinet, flat files, light box table, desk, computer, scanners, printers, mat cutter, cabinet to store finished artwork in, etc all in there too. I've got one room that has to do everything I need to do in it. Getting all that in there and still usable every day is a challenge but I am slowly getting there. STILL have all those boxes of reference books in the garage I need to get in there too! I also need to decide if I am going to paint part of a wall somewhere in there with blackboard paint as well as add a cork board somewhere for all the sketches, notes and scribbles for now I am just taping them to the wall over the desk. I know it'll take time to get this new studio up to speed especially with adding in a new art form. The Pug is my boy Mercury isn't he the cutest? He has a little bed by my drawing table that he sleeps in while I work. In the picture he is saying its time to stop working and feed me. He's a starving boy can't you tell? Lol he's very chubby and sweet. There are four more of them wandering around in there somewhere as well. 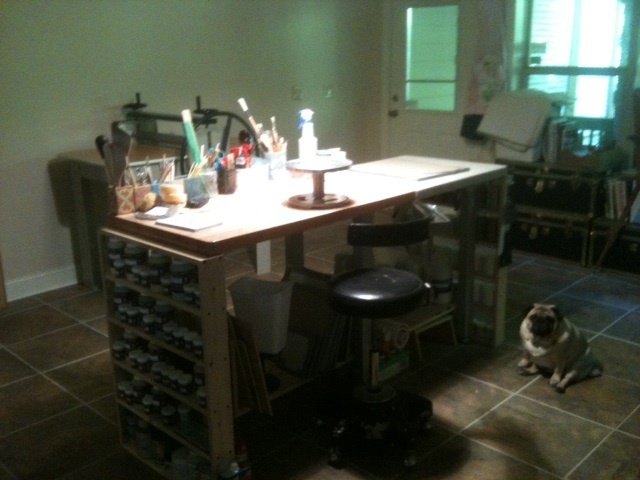 Well that's my new roller and studio I can hardly wait to get back in there tomorrow and play some more! Forgive me if you already know this, but I was instructed, when I got my slab roller, to soak the canvas (and dry it) before using to soften it up. That prevents it from forming permanent wrinkles if it should fold while rolling. Yes, your pug is adorable! No I did not know to soak the canvas I will do so tomorrow. Thanks for the heads up!